Should You Be a Compensated or Altruistic Surrogate? When you decide to become a surrogate, there is a lot you have to consider. You have to make many decisions during your surrogacy journey — some of which are early decisions which will impact how your entire surrogacy proceeds. In addition to deciding to be a traditional or gestational carrier or to work with a short-distance or long-distance intended parent, you will also need to decide whether you wish to be compensated for your services. As a surrogate, you will always have the right to receive compensation for your services, as long as your state laws allow for it. You should never feel forced into an altruistic surrogacy, whatever your circumstances. Being a surrogate is not easy, so you deserve to receive a surrogate base compensation if it’s something you are interested in. But, what if you’re really on the fence about this decision? How do you choose the path that is right for you? Below, you’ll find some helpful information to assist in your decision-making process. Remember: Your surrogacy specialist is always here to answer your questions about surrogate compensation. For personal assistance, please call our agency at 1-800-875-2229(BABY). Ultimately, you are the only one who can decide whether becoming a compensated or altruistic surrogacy is best for you. There is no shame in choosing one over the other. Plenty of women have had successful compensated and altruistic surrogacy journeys; it’s all about making sure you are choosing the right path for the right reason. If you’re not sure which is best for you and your family, we encourage you to think long and hard about these four topics first. While you are the one making a choice to become a surrogate, remember that your decision will impact the rest of your immediate family, as well. When you’re a gestational carrier, you have to give up a great deal of your time and energy to have a healthy pregnancy and maintain a relationship with your intended parents. This means that your time with your family may be impacted and you may not be able to take on the responsibilities you usually do for your family. Logistically, becoming a surrogate may make things much more difficult for your family’s schedule. Even though your surrogacy contract will cover such things as wages from lost work and childcare expenses when necessary, your decision to become a surrogate can still cause unforeseen financial (and emotional) challenges for your family. Will your family be upset at all the time and effort you are putting into another family to receive nothing in return? Before deciding to become an altruistic surrogate, you should talk at length with your spouse and a financial planner. It’s important to be aware of your current financial state before making this big decision. While a woman will never have to pay for becoming a surrogate, there may be small, unanticipated costs along the way. For example, even though your intended parents will pay for your long-distance travel costs, traveling back and forth to appointments will require you to pay for gas and put wear-and-tear on your car, which can lead to more costs later on — even after your surrogacy journey is over. Similarly, if you are busy all day doing surrogacy things, you may not have the time to have home-cooked meals as usual and find your family eating out more and spending more money. 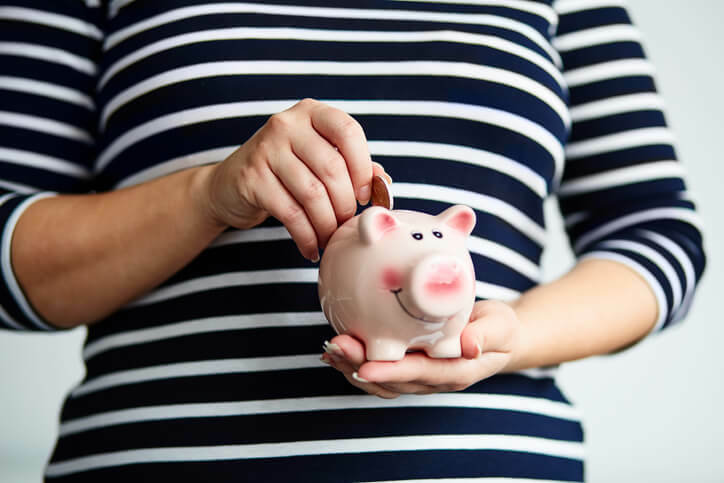 Your surrogacy specialist and your lawyer will work with you to cover necessary expenses, but small personal costs do tend to pop up for gestational carriers. If you are being compensated for your services, those costs won’t be as big of a deal as if you were a surrogate altruistically. If you’ve never been through the surrogacy process before, it’s easy to imagine that the next year or so will be a happy time when everything goes according to plan. Unfortunately, this isn’t always the case. Being a gestational carrier can put you through some serious mental, physical and emotional stressors, and your mental and physical health can be impacted. If you are not receiving any kind of compensation for your surrogacy services, you may start to feel taken advantage of or not appreciated when you think of everything you are going through for your intended parents. Of course, not every surrogate feels this way, but if you’ve never done an altruistic surrogacy before, there is a degree of uncertainty. Consider talking to other altruistic surrogates to learn more about what this journey is like to ensure that it really is the best choice for you. Surrogates often become close with their intended parents, and a surrogate would often do a great deal to help make her intended parents’ surrogacy journey a little easier. In some cases, this means considering an altruistic surrogacy to save the intended parents a little bit of money. There’s nothing wrong with taking this path, but we encourage prospective surrogates to choose an altruistic surrogacy only after they are 100 percent comfortable with what it means for them. You should never feel pressured into an altruistic surrogacy, even by a friend or family member. You should only become an altruistic surrogate if it’s a path you are excited for. If you waive your right to surrogate base compensation because of your intended parents and without recognizing your true feelings on the issue, it’s more likely that this choice will cause emotional difficulties in your relationship later on. If your intended parents have asked you to carry for them altruistically, and you’re not sure whether it’s the right choice for you, please reach out to your surrogacy specialist today. She can discuss the pros and cons of each option in depth with you to help you make the best choice for yourself and your family.